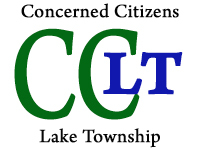 6/10/08 to James Wolford, EPA Superfund Director | Concerned Citizens Lake Twp. After several years researching and consulting with various radiation experts around the country, both governmental and independent academic professionals, we believe that it is imperative that US EPA immediately reform its radiation testing at Superfund Sites by abandoning the current usage of the EPA Finished Drinking Water 900 Method,(meant for treated public water systems and not raw toxic dump water) and adopting the practices that are routinely used by the Dept. of Energy, including lower detection limits – 0.01 pico curies per liter for Plutonium, to increase certainty levels and accuracy. The existing EPA Method 900 was never meant for proper detection of man-made radionuclides that may be mobile in the particle phase in groundwater, and thus, is inherently biased against accurate detection for several reasons, including certain “loopholes” that can ( and have been) manipulated. Experts have called this outdated usage a Third World Country method, and even our own State radiation dept. at the Ohio Dept. of Health said EPA was “stuck in the 1950s.” It is high time US EPA get in line with other US government agencies radiation testing methods. Indeed, for over the past 4 + years, our citizens group has consulted with various US EPA experts, including EPA’s Research & Development group, and we are convinced, IF EPA management WOULD LISTEN FOR A CHANGE to your own scientists, that there is a wide consensus that this method needs to be abandoned at Superfund Sites. ( Please specifically consult with David Huber of your radiation drinking water division and Ron Wilhelm, Air & Radiation expert.) We request that you immediately instruct your staff to consult with the US Government’s radiological reference lab at Idaho National Lab, DOE’s RESL, in order to accomplish this important effort – to make insure that EPA finally comes in line with what DOE now routinely does for proper assessment of man-made radionuclides, particularly Plutonium, to finally erase the significant current double standard that exists between the way sites under DOE control are treated vs. those under Superfund. This request is now more important than ever before, given the new findings recently reported out of the Argonne National Laboratory concerning Plutonium, Nano Clusters and groundwater contamiination and public health. Because our Superfund Site, Uniontown IEL, was used by US EPA as the case in point 15 years ago representing all other sites in the country suspected of containing radiation, via US EPA’s usage on our case of the Science Advisory Board panel, it is appropriate that this request coming from our group, CCLT, is given your full attention now. Because it has been reported that, after many years of EPA and others deferring to this SAB report, several panel members have admitted not being qualified regarding radiation testing methods, any further reliance by EPA and others on this report is clearly a flawed and potentially dangerous practice, and all the more reason to now revisit this subject to insure that sites are being afforded the BEST scientific methods known by our government. To continue to delay means ciitizens could continue to be unknowingly exposed to long -lived radioative substances known to cause birth defects, cancers and other illneses. NOTE: We refer you to the AP story published nationally June 2nd, indicating CDC’s concern about the rate of cancers in American children living in the Northeast, specifically citing the possibility of these increases coming from exposure to radiation. In addtion, because there is no one person at EPA Superfund “in charge” of radiation matters currently, it often seems that the “one hand doesn’t know what the other is doing”, assigning a specific radiation person would go a long way in helping to coordinate this issue within Superfund. Please give consideration to this request as well. Finally, given all that is known and acknowledged by your staff and other experts regarding the inherent problems with the current method used, we request that you personally intervene on our case, Uniontown Industrial Excess, to block any potential moves by Region 5 and Ohio EPA to delist IEL. We clearly have NOT gotten a fair shake regarding radiation testing thus far, and given all the evidence that has accumulated concerning Plutonium being buried at this site, including a document that suggests up to 1/2 ton of Plutonium could be buried in the subsurface that may be slowly leaching out via the ongoing flushing of this site into our water supply, it is essential that the best available sciience is implemented at Uniontown to insure that the health and welfare of this community and beyond is protected long term. Anyone claiming otherwise, ie., that they are confident the flushing of this site into our area’s sole source aquifer is safe and appropriate, clearly DOES NOT understand the current scientific information at hand. On the behalf of all Superfund Sites that may contain radioactive materials left over from the Cold War, my group thanks you for your personal consideration of this most important issue.